Leopard 2 MBTs all over the world go on the prowl on Diehl Type 570 tracks. This quality product from Diehl Remscheid has one unique feature. The rubber pads can be replaced by ice cleats. This can be done by simply beating out the rubber pads and "clicking" in the ice cleats stowed on the front glacis. Many earlier Leopard 2 kits suffer from very simple vinyl tracks which were often too stiff and tedious to attach. 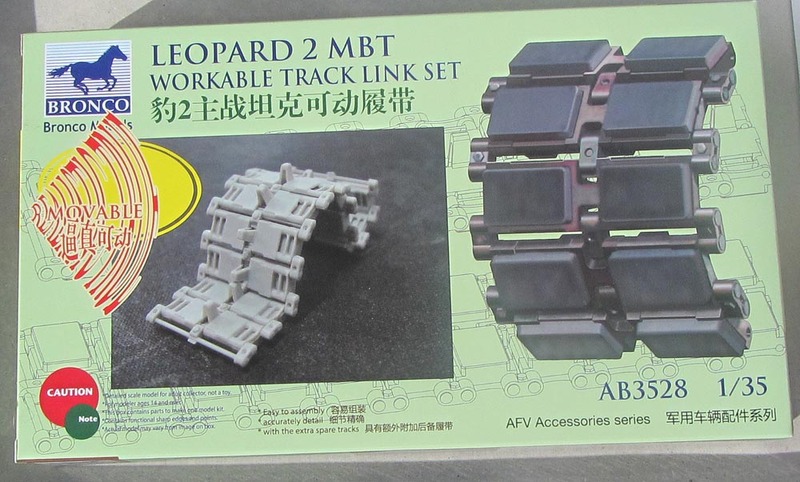 The Tamiya Leopard 2A5 and 2A6 kits come with a soft vinyl track, that is easy to attach, and while two links too long, they can be cut shorter since they have glue points on four track links. 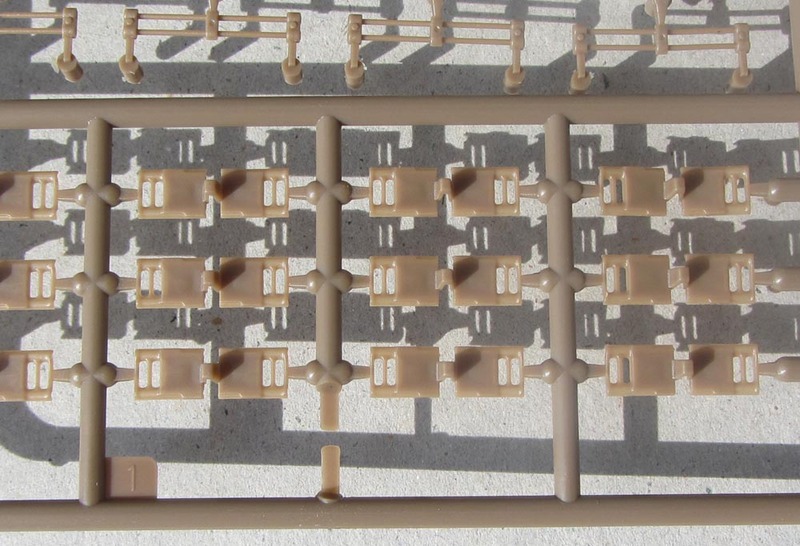 The modeller now has the choice between several aftermarket tracks in injection-moulded plastic or metal. It started with Hong Kong Creation Workshop, but the construction was over-complex and tricky to build. Friul and Easy Metal Links, distributed by Der Sockelshop, sell Leopard 2 tracks made from white metal. After a longer search, I decided to use the tracks from Bronco Models for my Leopard 2A7 kitbash between the Revell Leopard 2A6M and the Y-Modelle Leopard 2A7 conversion. 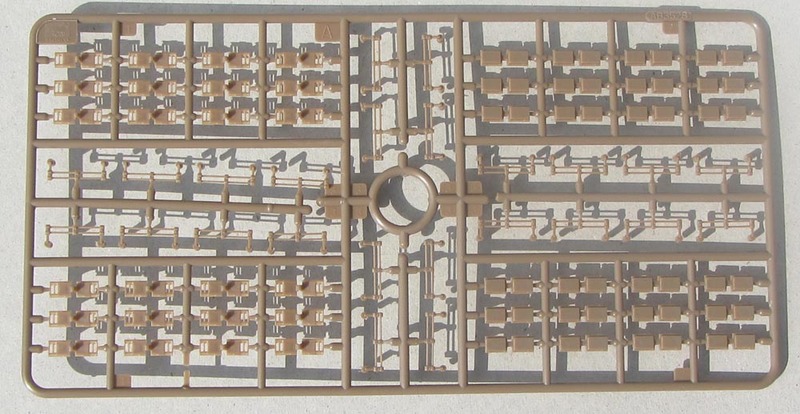 Bronco Models tracks come in a side opening cardboard box with seven identical sprues. Assembly instructions are printed on the back of the box. 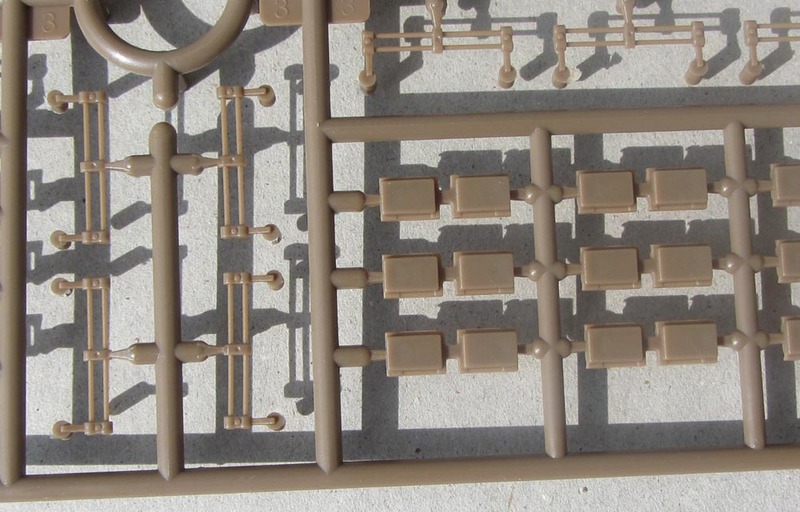 The modeller has to remove the parts from the sprues and clean it up. 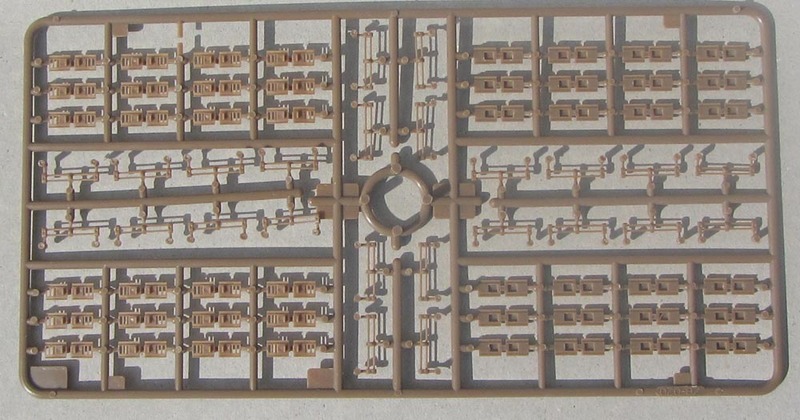 The end connector is be sandwiched between the track halves and the track halves are carefully glued together. 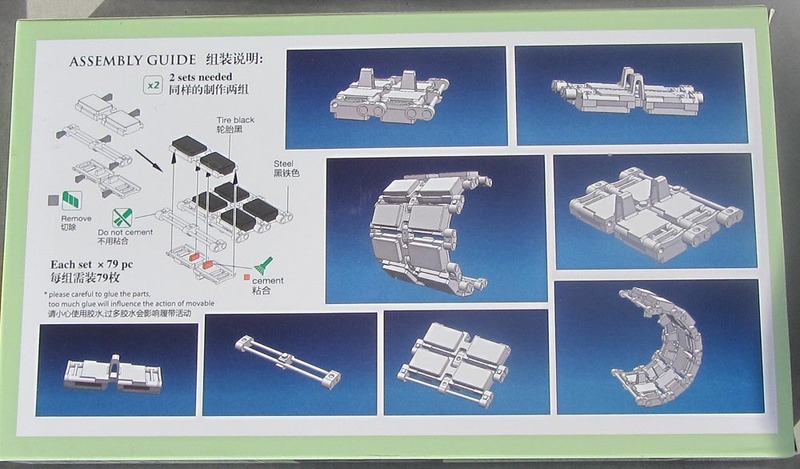 Please take note of the orientation of the end connector. The bolt heads are always orientated to the outside. I fitted my tracks to the Revell Leopard 2 kit and found them a perfect fit. Bronco Models provides another easy to use and cheap update for Leopard 2 fans.